Turn 14 Distribution has seen some massive growth in recent years, enough to lead to the opening of its expansion to Horsham, Pennsylvania. The 162,000 square-foot facility opened the door for nearly 200 new jobs, and currently serves as the new headquarters for the operation. 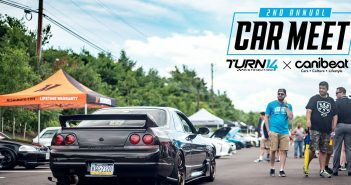 Turn 14 Distribution’s new 234,000 square-foot warehouse sits only a few miles away in Hatfield, Pennsylvania, sending out 28,000 packages per day from a long list of famous aftermarket brands. Have a look at the video above to take a tour of Turn 14 Distribution’s impressive new digs.